The state of the interface between slag and carbon determines the slag foaming behavior and thus the effectiveness of carbon in electric arc furnace (EAF) steelmaking. This paper explores the interaction between synthetic slag and carbonaceous materials derived from various sources, including bio-char produced by two different technologies, graphite, coke, and char from tire pyrolysis. Different interfacial phenomena were found between slag and the carbonaceous materials examined. The interactions between bio-char and slag are found to be poor in comparison with other carbonaceous materials. Carbonaceous materials were characterized in terms of their chemical composition and the results obtained suggested that interfacial phenomena were not dominated by ash in the carbonaceous material. The effects of carbon crystalline structure on interaction with slag were evaluated by Raman spectroscopy and X-ray diffraction. Surface properties of the samples were evaluated using scanning electron microscopy, and surface morphology was identified as the principal factor affecting the interaction of slag on carbonaceous particles. The smooth surface of bio-char results in reduced slag foaming. 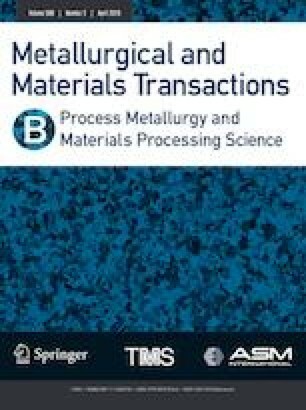 This finding forms the basis for future research on the production of bio-char to be used as a slag foaming agent in EAF steelmaking. Manuscript submitted November 27, 2018. This research has been funded by Natural Resources Canada through the Energy Innovation Program (EIP). The authors would like to thank members of the Canadian Carbonization Research Association (CCRA) for their technical contributions. Assistance with preparing samples for SEM by the laboratory of Professor K. Liu of the University of Quebec at Chicoutimi is greatly appreciated. The authors also appreciate the work of Ms. Ami Patel, a University of Waterloo co-op student, for her valuable assistance with the tensiometer tests.